How to Add Music from Spotify to iMovie Project? Background music helps to set the mood and adds a certain dynamic effect on our perception of a video – no matter whether it’s a movie, a hobby videos, or a video presentation. But when you find out you can’t import some of audio files from Spotify into iMovie, you can follow this simple tutorial to add Spotify audio to iMovie. Tutorial: How to Add Sound track from Spotify music to iMovie? iMovie supports adding certain audio formats, but this do not extend to the streaming music, like Spotify music. Because all of Spotify music are DRM protected, even Spotify Premium users can’t take the downloaded Spotify albums and playlists outside of Spotify client for playback. So if you need to import Spotify music to iMovie, you need to get Spotify music free from DRM. In fact, there is an easy and effective way to solve the problem effortlessly. 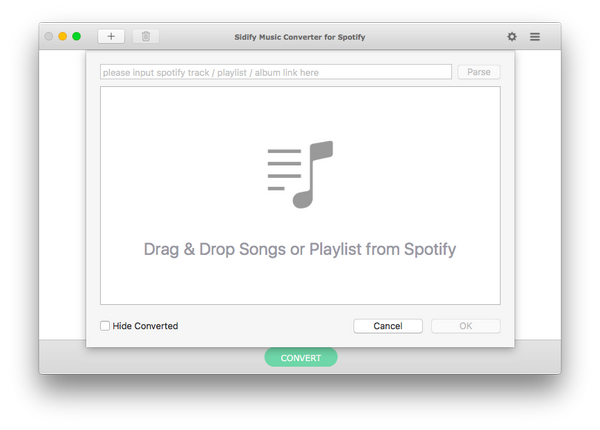 What you need is just an awesome Spotify Music Converter like Sidify Music Converter for Spotify. With it, you can remove DRM from Spotify music, download music from Spotify to MP3, AAC, FLAC or WAV with 100% original quality. The following tutorial would show you how to add Spotify music to iMovie. Please download this useful tool on your computer first . To start with, just launch Sidify prorgam, click " " icon and then drag and drop any music file or playlist from Spotify to Sidify adding window. Check the music that you need to convert and then press "OK". Then click setting button to change the basic parameters (Including Output format, Output quality and Conversion mode, etc). Here you can choose format as MP3, AAC, FLAC or WAV, adjust output quality up to 320 kbps and choose 5X conversion speed. 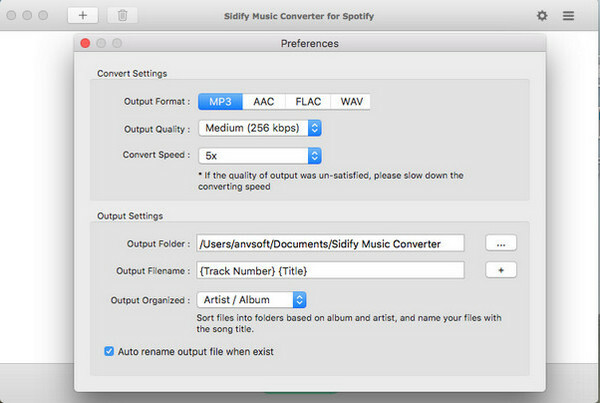 Tips : Sidify program supports saving the output audio into Artist, Album, Artist/Album or Album/Artist folder for meeting various users needs. 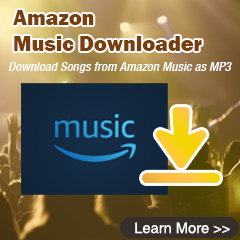 After conversion, you can click button to easily find the well-downloaded MP3/AAC/FLAC/WAV file in the top right corner. Now, the Spotify music are well-converted to plain MP3 audio file and you can use them as background music for your iMovie project. 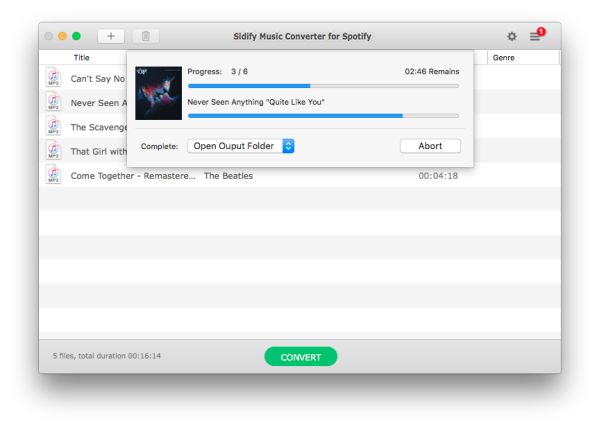 Note : The trial version of Sidify music converter for Spotify enables us to convert 3-minute audio for sample testing, you can unlock the time limitation by purchasing the full version.